BASKETBALL SPOTLIGHT NEWS: Toles Ready To Fly At J.E.M. ALL STAR CLASSIC! One of the hottest names in the country right now is guard Jordan Toles. Toles has toured the country and dominated at several events. 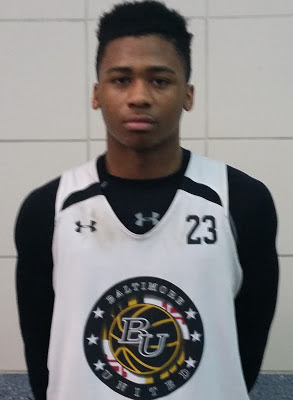 His AAU squad is Baltimore United in which he helped them win several events including the Basketball Spotlight AC Showcase. Jordan has worked hard to develop his skills and it showed throughout the country. Jordan’s play earned him an invite to the 7th Annual J.E.M. ALL STAR CLASSIC. The super athletic guard will be looking to put on a show to close out his middle school career. Basketball Spotlight would like to congratulate Jordan Toles on his selection and on his future on the high school level. Stay tuned as we bring you more top players coming to the 7th Annual J.E.M. ALL STAR CLASSIC.